Infringement of Personal has become a common phenomenon with technological Change. Robust technologies have up the ante and made the users vulnerable to security attacks more than ever. At this juncture, it is necessary that we keep our data safe and prevent breaches of security. Our phones and laptops always run the risk of being trespassed by some unauthorized user who might even do irreparable harm. The least we can do is make use of apps that help in thwarting unwarranted access and protect our privacy. So, to protect your mobile’s data, make use of these 8 smart yet simple privacy Apps locking apps and avert such breaches. Looking for an App that wards off of intruders? 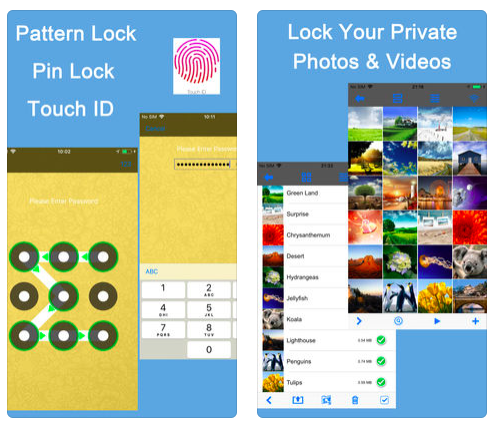 Private Photo Vault is one the best lock Apps that use a PIN or Pattern security to protect your pictures and other folders. What’s more, the security feature is also interspersed with robust features for nabbing the stealer. So, if ever your phone gets stolen, the App will automatically click the thief’s picture and send their locations through GPS. The App ploys fake passwords to unlock a decoy folder which means that if someone is fooling around, they will go as far as the stock images and not beyond that. You can easily hide private photos and videos apps. You just have to login to the App via your email ID and the rest will be taken care off. The App uses a PIN, Pattern, and fingerprinting lock to keep your data safe and pristine in secrecy. You can organize your files into multiple folders and name them as per your convenience. The App boasts advanced encryption such as military grade encryption system to unlock your data. Keep Them Safe is available on the App Store for iOS and Google Play for Android. The App lives up to the meaning of its name! It works secretly behind a working calculator and harbors all your secretive photos, gifs, videos, or URLs. The clandestine data is protected via four-digit passcode and a decoy icon. You can also use pattern locks or touch IDs to beef up security. 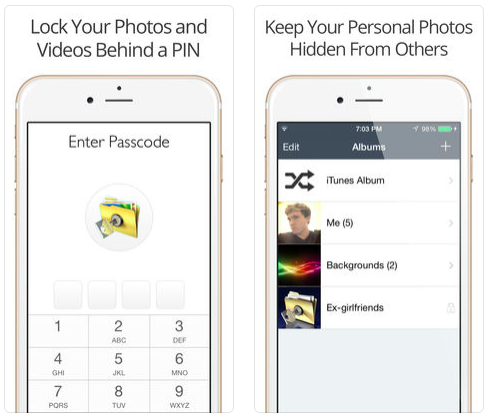 Not only does it hide your texts, but also lets you lock your photos and albums. It also provides photo locks and album locks. You can even trim, crop, and use slow motion functions for editing your pictures. Smart AppLock also uses a PIN, Password, or Pattern to lock the data you want and eats only 3MB of your phone’s space. The App functions akin to Private Photo Vault and helps in tracking the thief. So, anyone who tries to unlock the App will be successful by using wrong a password only to be clicked with a photo which is sent to the owner of the phone. The photo of the thief is sent to the owner to his email id, which he or she had fed in the App. 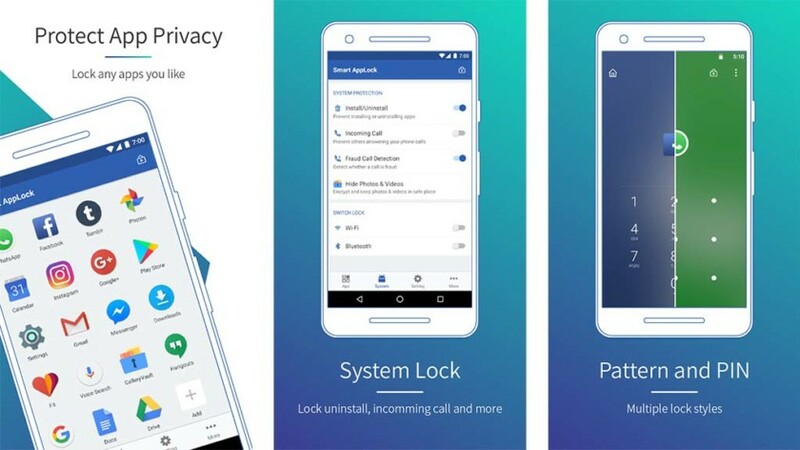 The App also allows you to lock Bluetooth, Wi-Fi, and outgoing calls as well as incoming calls. You can also put a cap on the number of unlocking attempts. You can also remotely unlock and lock your phone by sending an SMS. 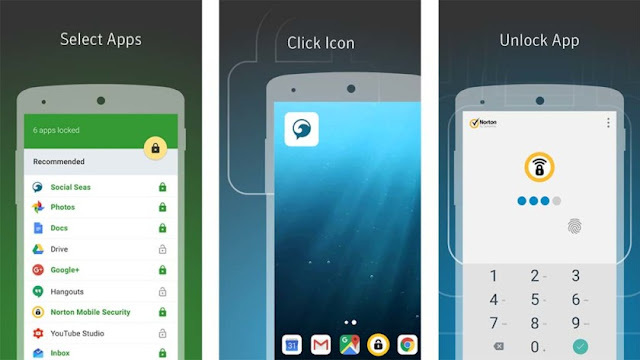 Norton is a popular Anti-virus maker, which has made an App locker for Android. It uses Password, Pattern or Fingerprint to lock your data. The App uses a 4-digit passcode and it secretly takes the photo of a person who makes 3 unsuccessful attempts to unlock the App. It is free and does not annoy you with ads. The icon of the App itself is a decoy and appears like a utility folder. If the intruder fails to unlock the App for more than four times, it captures his or her photo and sends it your email ID. 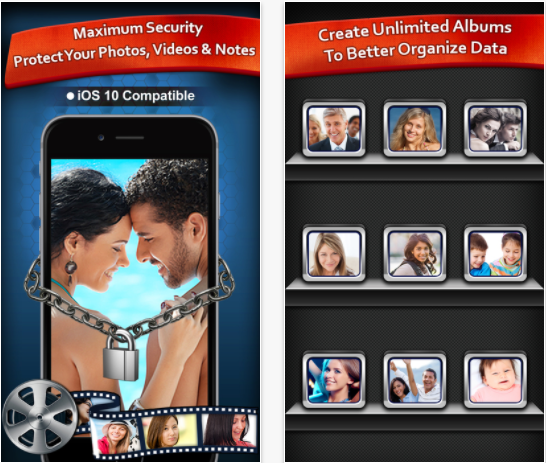 The App also enables you to record a video and save them directly to your secret folders. The App uses a password for protection and keeps a record of each and every login attempt. This is another amazing creation of the mobile App development, which simplifies accessing your phone’s media folders and is coupled with a secret-drive feature. A hamburger menu opens up after you swipe from left and then you get to the secret drive. The App uses a number of hoops that a user has to go through, to access this feature. After you enable the feature, you can select any photo or video and move it to the secret drive. You can create multiple vaults to separate the data that is to be hidden. This App is another locking application that saves your phone from deceptive users. The App uses Passwords, Patterns, PIN, and Face ID to lock it. It has a decoy feature wherein any person who attempts to sneak into your phone, the app shows only stock images via a fake password. The App also supports security on e-mail and MMS. So, allay your fears of unwelcome intrusions. The iOS users can use this App for free. These simple privacy Apps not only protect your data but, in a way, to protect you from unforeseen harm. Once you have locked your private and confidential data, you can breathe a sigh of relief. So, even if you lose your phone, you don’t have to worry anymore about your data.